Snowflakes hide surrounding features while giving an appearance of brush strokes on apple trees. This image was just taken two days ago on December 22, 2013 in a snowstorm. 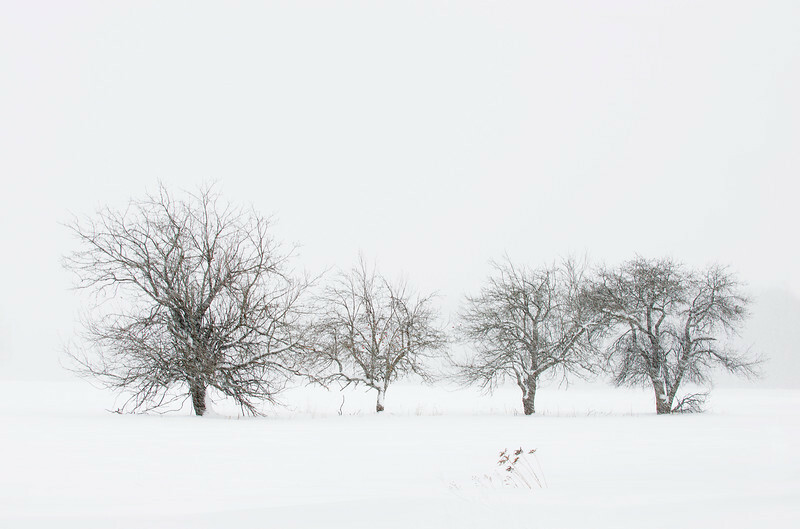 These old apple trees are isolated in a field by the snow. There is a hint of a few red apples that still remain. The snowflakes were allowed to show to add to the scene. A very unique image.